Araz Altay, M. (2019). Atomoxetine Induced Obsessive-Compulsive Disorder. Hospital Practices and Research, (), -. Mengühan Araz Altay. "Atomoxetine Induced Obsessive-Compulsive Disorder". 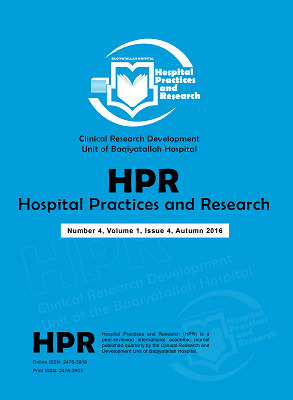 Hospital Practices and Research, , , 2019, -. Araz Altay, M. (2019). 'Atomoxetine Induced Obsessive-Compulsive Disorder', Hospital Practices and Research, (), pp. -. Araz Altay, M. Atomoxetine Induced Obsessive-Compulsive Disorder. Hospital Practices and Research, 2019; (): -. Introduction: Attention deficit and hyperactivity disorder (ADHD) is a common neurodevelopmental disorder in children and adolescents. Atomoxetine is a non-stimulant drug used in the treatment of ADHD. Case Presentation: In this article, a case of obsessive-compulsive disorder (OCD) which occurred in an 11-year-old boy with an increased dose of atomoxetine during ADHD treatment and disappeared with dose reduction is reported. This case is only the second OCD case resulting from the use of atomoxetine. Conclusion: The case reported herein is the second case caused by the use of atomoxetine and the first in which OCD symptoms regressed when the atomoxetine dose was reduced. OCD development due to atomoxetine consumption may occur at different doses. When OCD develops, the solution may be dose reduction, or it may be necessary to discontinue treatment with atomoxetine. American Psychiatric Association (APA). Diagnostic and Statistical Manual of Mental Disorders (DSM-5R). 5th ed. Washington, DC: American Psychiatric Association Publishing 2013. doi:10.1176/appi.books.9780890425596. Brown KA, Samuel S, Patel DR. Pharmacologic management of attention deficit hyperactivity disorder in children and adolescents: a review for practitioners. Transl Pediatr. 2018;7(1):36-47. doi:10.21037/tp.2017.08.02. Yu G, Li GF, Markowitz JS. Atomoxetine: A Review of Its Pharmacokinetics and Pharmacogenomics Relative to Drug Disposition. J Child Adolesc Psychopharmacol. 2016;26(4):314-326. doi:10.1089/cap.2015.0137. Altay MA. Sleep Disorders and Attention Deficit: A Consequence of Proinflammatory State? J Clin Sleep Med. 2018;14(6):1081. doi:10.5664/jcsm.7190. Willcutt EG, Pennington BF, Smith SD, et al. Quantitative trait locus for reading disability on chromosome 6p is pleiotropic for attention-deficit/hyperactivity disorder. Am J Med Genet. 2002;114(3):260-268. doi:10.1002/ajmg.10205. Altay MA, Gorker I. Assessment of Psychiatric Comorbidity and WISC-R Profiles in Cases Diagnosed with Specific Learning Disorder According to DSM-5 Criteria. Noro Psikiyatr Ars. 2018;55(2):127-134. doi:10.5152/npa.2017.18123. Bradshaw JL, Sheppard DM. The neurodevelopmental frontostriatal disorders: evolutionary adaptiveness and anomalous lateralization. Brain Lang. 2000;73(2):297-320. doi:10.1006/brln.2000.2308. Childress AC. A critical appraisal of atomoxetine in the management of ADHD. Ther Clin Risk Manag. 2016;12:27-39. doi:10.2147/TCRM.S59270. Allen AJ, Kurlan RM, Gilbert DL, et al. Atomoxetine treatment in children and adolescents with ADHD and comorbid tic disorders. Neurology. 2005;65(12):1941-1949. doi:10.1212/01.wnl.0000188869.58300.a7. Shatkin JP. Atomoxetine for the treatment of pediatric nocturnal enuresis. J Child Adolesc Psychopharmacol. 2004;14(3):443- 447. doi:10.1089/cap.2004.14.443. Pozzi M, Carnovale C, Peeters G, et al. Adverse drug events related to mood and emotion in paediatric patients treated for ADHD: A meta-analysis. J Affect Disord. 2018;238:161-178. doi:10.1016/j.jad.2018.05.021. Ince C, Karakus M, Karadeniz S, Kandil S. A Case of Obsessive Compulsive Disorder Developing During Atomoxetine Use. Turk J Pediatr Dis. 2015;2:140-142. Koo MS, Kim EJ, Roh D, Kim CH. Role of dopamine in the pathophysiology and treatment of obsessive-compulsive disorder. Expert Rev Neurother. 2010;10(2):275-290. doi:10.1586/ern.09.148. Bymaster FP, Katner JS, Nelson DL, et al. Atomoxetine increases extracellular levels of norepinephrine and dopamine in prefrontal cortex of rat: a potential mechanism for efficacy in attention deficit/hyperactivity disorder. Neuropsychopharmacology. 2002;27(5):699-711. doi:10.1016/S0893-133X(02)00346-9. Abramovitch A, Dar R, Mittelman A, Wilhelm S. Comorbidity Between Attention Deficit/Hyperactivity Disorder and Obsessive-Compulsive Disorder Across the Lifespan: A Systematic and Critical Review. Harv Rev Psychiatry. 2015;23(4):245-262. doi:10.1097/HRP.0000000000000050.